For the first time since the start of our Lumby Curling Club in 1961, we are offering the exciting opportunity of advertising in our Lumby curling rink. 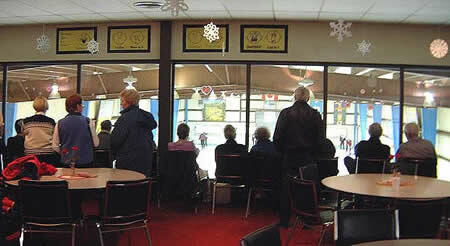 The Lumby Curling Club does not only operate during the winter season but also hosts numerous events during the summer such as weddings, conventions, exhibitions like the one during Lumby days, shows, etc. This will mean for you as advertiser a great deal of exposure to not only local people but to many visitors from all over the area. Please give us a call at (250) 547-2377 or e-mail [email protected] to discuss these exciting advertising opportunities. THANKS for your support!